Time+Space has announced their worldwide exclusive distribution partnership with new virtual instrument developer Red Room Audio. 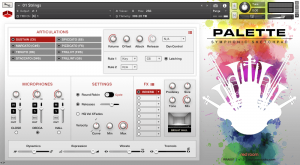 Red Room Audio launched last year with their Palette line of instruments for the free Kontakt Player designed to help songwriters, composers and sound designers easily bring their cinematic orchestral ideas to life. 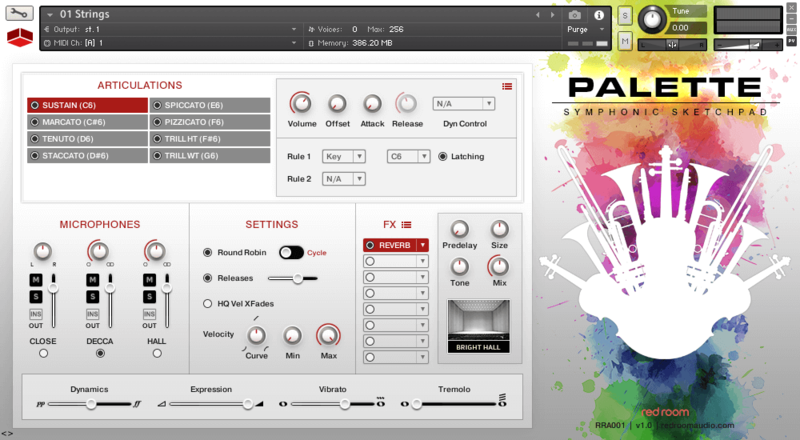 The developer's flagship product, "Palette – Symphonic Sketchpad," is a one-stop solution for scoring and sketching. A comprehensive suite with numerous different expansions all recorded with the same gear, in the same room, with the same musicians, all playing the same instruments. As a result, the sounds can all blend together with effortless ease. Founder Dickie Chapin explains... "We decided to record every note of every ensemble with ALL the players participating at the same time. To illustrate, for the strings patch we got all the basses in the hall and started by recording articulations for their lowest note. Then we moved up to the next note and so on. When we reached the bottom range of the celli, they came in and joined the basses, recording together. Same for the viola and violins, and brass and woodwinds. When a section reached their highest note, they dropped out of the recording. 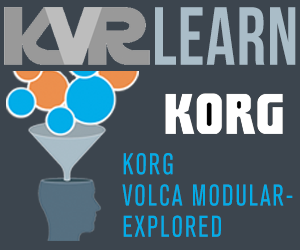 To my knowledge, this approach hadn't been attempted, and I feel it yields a more realistic sound." 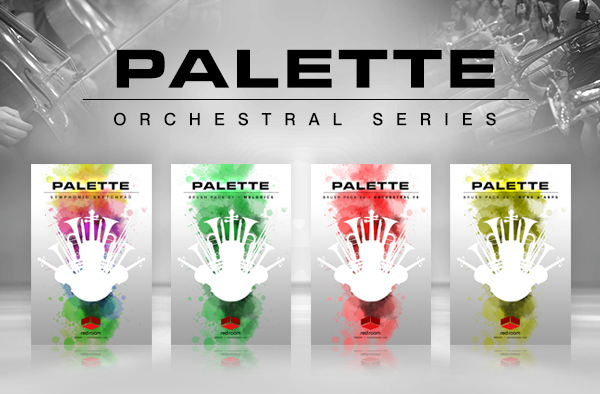 In addition to Symphonic Sketchpad, there are currently three Palette "Brush Packs", each with a particular focus. While the flagship library provides all the basic tools needed for sketching, the Brush Packs tackle more specific "decorative" elements of scoring like melodic legato leads, aleatoric fx and runs & arpeggios. Of the exclusive partnership, Dickie said "I'm thrilled to announce our partnership with Time+Space, who will be serving as Red Room Audio's exclusive distributor throughout Europe, the Americas, Canada, Australia, Antarctica, Mars, Narnia, Middle Earth and Wonderland." Once you own a Red Room Audio title - you're entitled to a loyalty discount off your next purchase. The more libraries you own the more you save. Plus, with Time+Space's new Loyalty Rewards programme, you'll earn points on your purchases too.